Happy Thursday everyone! Today I'm sharing a really fun partnership with Francesca's Collections! I'm pretty sure that 95% of you have shopped there before and are very familiar with the cute clothes they carry and other trendy accessories and home goods! 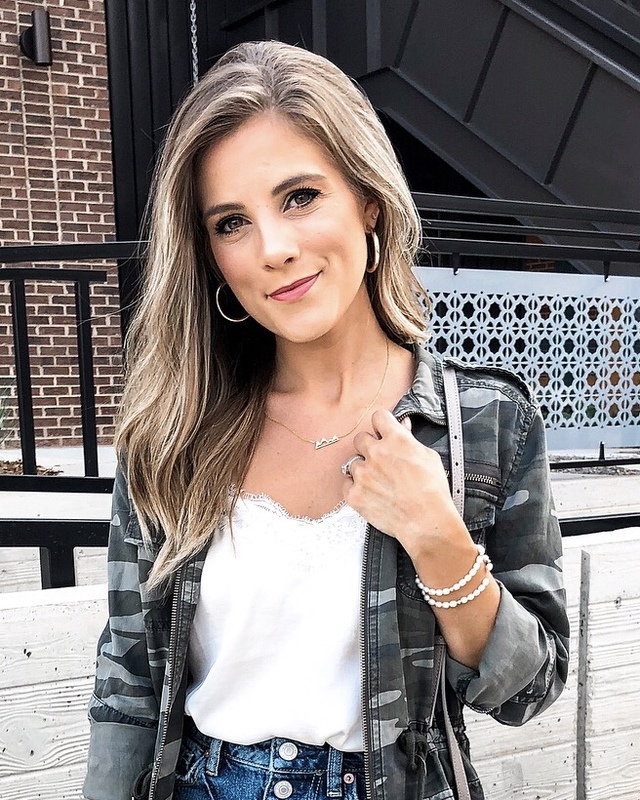 Of course, today I wanted to share an easy spring look that's good for everyday wear and perfect for weekend outings when the weather is absolutely perrrrrfect! I had been looking for a cute top that was cinched at the top and was so glad I spotted this blue beauty! The ruching at the front is adjustable, so you can tie it to what ever length you like. I decided to keep it simple with their white highwaisted jeans, and I can't help but rave about them too! They're super comfortable and have such a slimming fit. Some other parts of this outfit include this dainty necklace (that I'll be wearing non stop), these heels, and these acrylic earrings. *thank you Francesca's Collections for sponsoring this post!